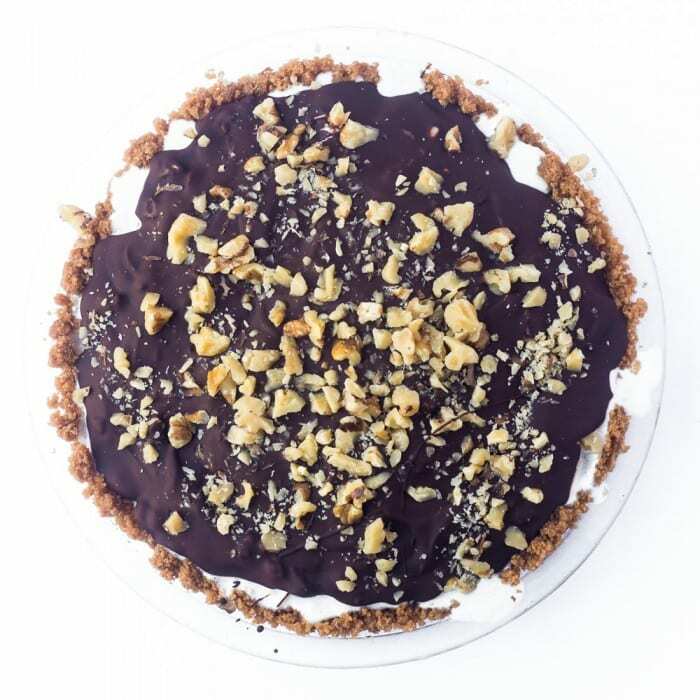 My Drumstick Ice Cream Pie is inspired by one of summer’s most memorable treats, with a crushed sugar cone crust piled high with lots of ice cream, topped with a homemade Magic Shell and dusted with crushed nuts. This is going to be the highlight of your summer. 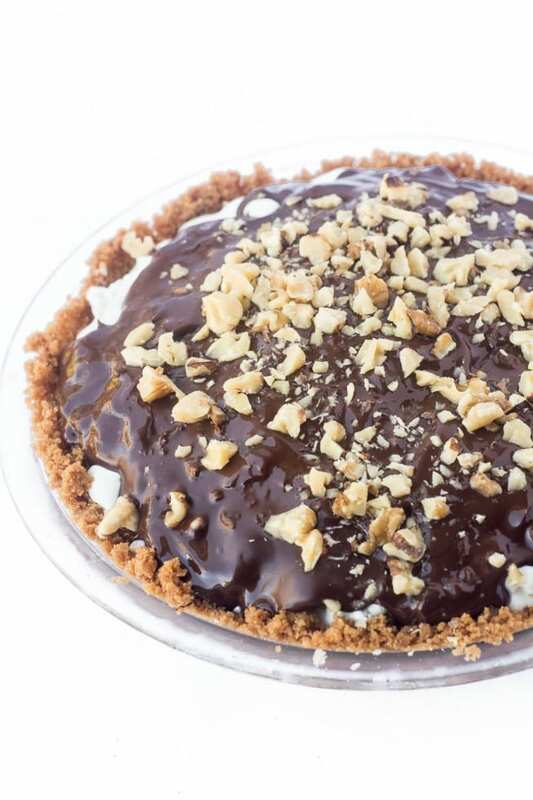 Last week I shared a Drumstick Ice Cream Pie on my facebook page —are you all following me? I hope so! — the minute I saw it I knew I had to give it a go, who doesn’t love a Drumstick? 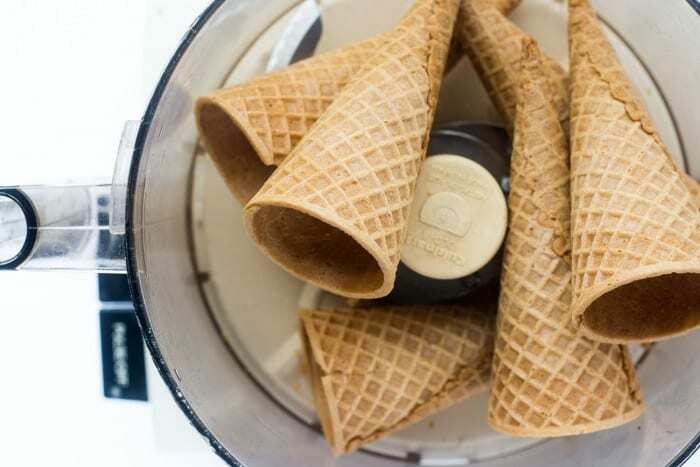 The concept is perfectly straightforward…the crust is made just like a graham cracker crust but instead of graham crackers you use — you guessed it — ice cream cones. Crush them up, add a little melted butter, and you’ve got yourself a unique pie crust. I spread a layer of ganache over the top to mimic that heavenly core of chocolate deep down inside a Drumstick cone. Then comes the ice cream, vanilla if you want to be authentic. A final coating of Homemade Magic Shell, and a sprinkle of nuts is all it needs. I swapped walnuts for the traditional peanuts because I love them. This pie has all the charm of a classic Drumstick ice cream cone, and then some. 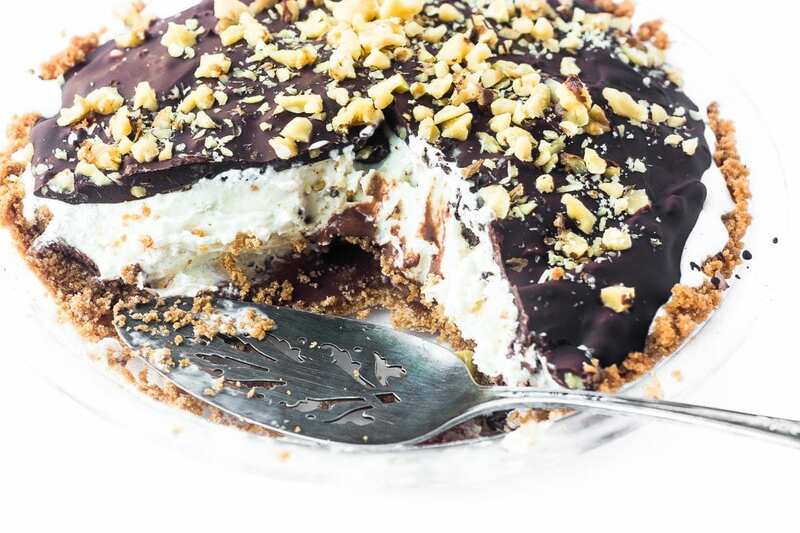 It’s notoriously difficult to cut neatly through hardened chocolate, so if you like your dessert sliced ‘just so‘, this may not be the pie for you. One thing you can do is to let it sit out for a few minutes before attempting to cut. Frankly I think it’s kind of fun to stab the knife in and see the chocolate shatter, BUT, if you’re entertaining and want a nicer presentation, I highly recommend adding the final chocolate shell AFTER cutting the ice cream. Drizzle it over the top of each slice and add the chopped nuts just before serving, the chocolate will harden instantly and you’ll save yourself some frustration. Let me know if you try this, or play around with the recipe — and tag me, @theviewfromgreatisland on Instagram if you make it and can snap a photo — I’d love to see! 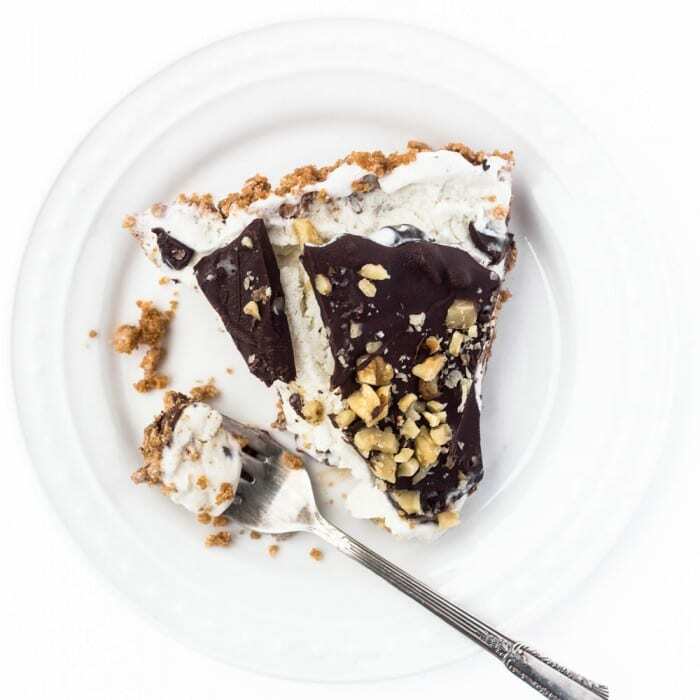 This Drumstick Ice Cream Pie recipe was adapted from Small Town Woman. Put the cones in a food processor and process until they are finely ground. You should end up with somewhere around 1 1/2 cups of crumbs. Mix the crumbs with the melted butter, tossing as you add the butter, until they are completely mixed. Lightly spray an 8 or 9 inch pie plate and gently but firmly press the crumbs into the bottom and up the sides. Put the crust in the freezer while you make the ganache. Heat the cream until it just comes to a simmer. Take off the heat and add the chocolate. Let sit for 5 minutes, and then stir until smooth. let cool slightly, then pour into the cold crust, and push it up the sides a little bit. Put back in the freezer for 30 minutes. Take the ice cream out and set it on the counter for about 10-15 minutes to soften. Then spoon it into the cold pie shell and smooth it out. Fill the shell and mount it slightly. You may not need the whole 1 1/2 quarts. Put the pie back in the freezer until the ice cream is hardened. To make the chocolate topping melt the chocolate and the coconut oil in the microwave --- heat for one minute, then stir. Heat in small 15 second intervals if necessary, stirring in between to melt completely. Pour the chocolate over the ice cream to cover completely. Immediately sprinkle the nuts over the surface before the chocolate hardens. Put the pie back in the freezer until you are ready to serve. Remove the cake a few minutes ahead of time to make cutting easier. 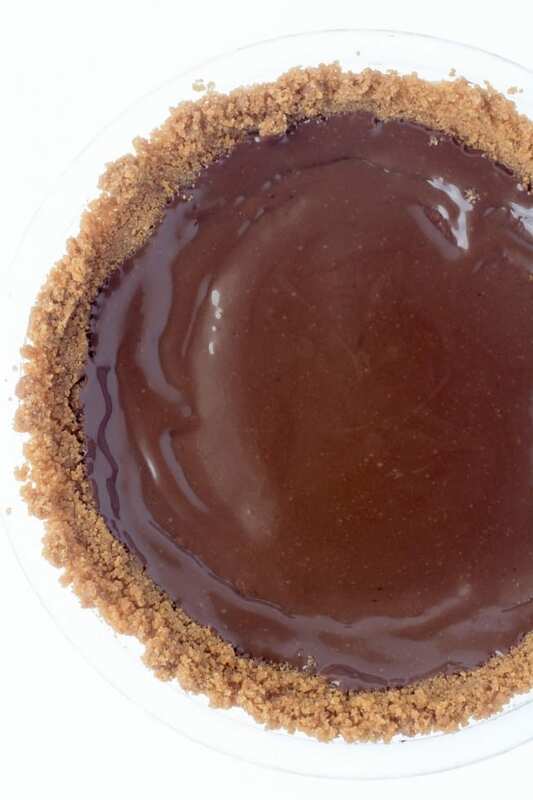 Alternative method: Do not coat the pie with the chocolate topping ahead of time. Cut the ice cream in slices, and then, just before serving, coat with the chocolate shell. I very much liked the ice cream cone crust, you do taste the flavor quite clearly, so I think it’s worth buying the cones. I used one package of 12 Joy sugar cones. You can buy Magic Shell in a bottle if you like for convenience. 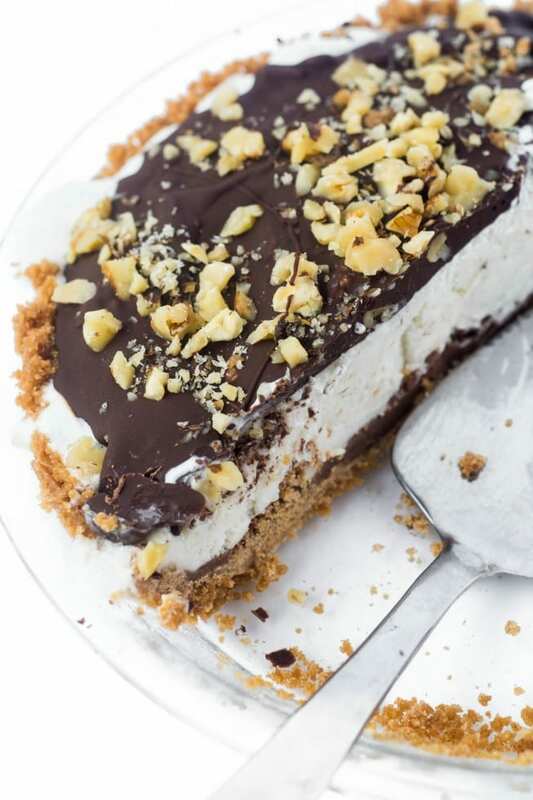 don’t forget it — pin this drumstick ice cream pie! Can I make this two days ahead? I doubled the recipe and made this in a 9×13 pan. I put the topping into a large plastic measuring cup and poured it onto the ice cream in kind of a checkerboard pattern. I’m hoping that will make it easier to cut into squares! I’ll let you know how it goes! I’m feeding it to a large group tomorrow! That’s interesting, I think the looser topping will make it easier to cut. The crust gets quite hard, too, on frozen pies, and I’ve recently heard a tip to immerse just the base of the pan in a sink of hot water very briefly to soften it for easier cutting. I am having trouble making the ganache. It was very runny and never got thick. Maybe it’s because I used half and half instead of heavy cream, although many people on the net say it’s ok to do that. I tried adding 1/2 tbl of butter to see if that might help it set up, but it didn’t. So I just poured it onto the crust and stuck it back in the freezer…fingers crossed! Also, I plan on serving hot fudge sauce and nuts on the side instead of using or making the magic shell stuff. I think it tastes better. 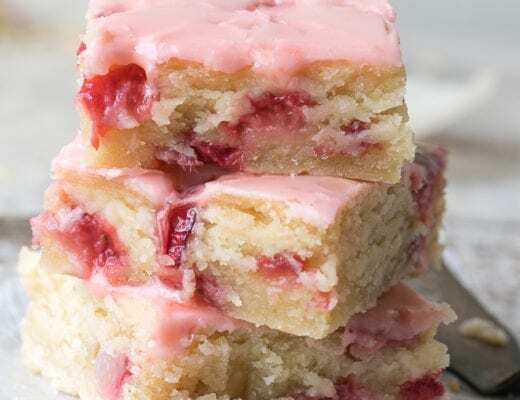 I got the ingredients for this and plan on making it for a Father’s Day dessert, since I don’t feel like baking anything. I will use full-fat coconut milk instead instead of the heavy cream. Also, I’m thinking of drizzling some of the chocolate on the top so it can look pretty and harden, but save the rest for drizzling before serving. Thanks for the recipe! Hi, I love the idea of this dessert! What can I substitute for the coconut oil, maybe regular veg oil? Thank you. I love the idea of this, but is there a substitute I can use for coconut oil? Regular veg oil, maybe? Thank you! 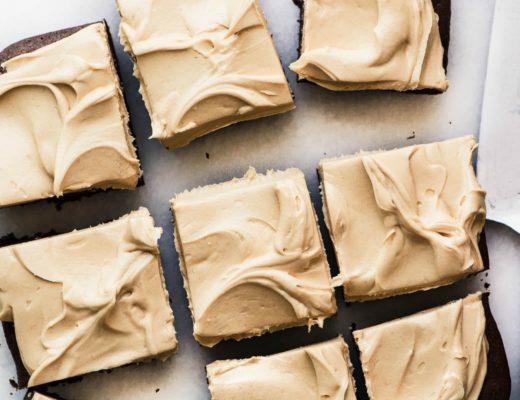 The coconut oil is traditional for making a ‘Magic Shell’ type of topping, but you could do without it and just use melted chocolate, thinned with a little vegetable oil. Thank you for answering so quickly. I just don’t want to buy something only to use a small amount of it. You should be using more coconut oil ? What about making a ganache with extra heavy cream and a bit of unsalted butter in it.. I don’t think it will harden up like a rock. Worth a try. Oh my gosh, I LOVE it! Drumsticks have always been a favorite of mine since I was a kid and the idea of turning it into a pie is brilliant. Why haven’t we ever thought of ice cream cone crust before this? What a great idea! Sugar cones on the way for sure. I have a remedy for the broken magic shell topping when serving … Just make individual sized pies. Anything ice cream is perfect! Great idea on the crust. I will definitely give this a try! Oh, I love drumsticks and definitely treat myself to them over the summer months. I can barely get past them in the freezer section at the grocery store each week! I wouldn’t want to share this pie, lol. It looks amazing, Sue. Chocolate, nuts, ice cream = heaven! 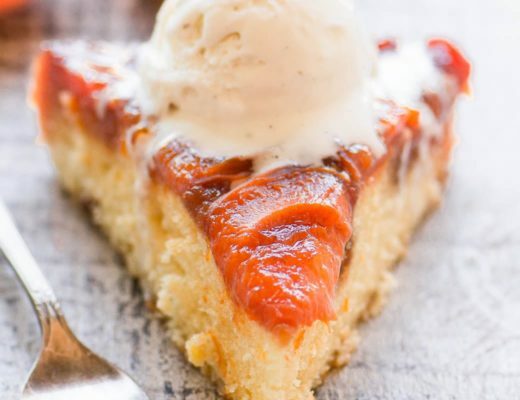 This pie is so brilliant – every single aspect of it! First of all, I love Drumsticks. They were one of my favorite treats growing and still are. Second of all, I indulge all the time… which I do have to watch because my careless eating is finally catching up to me. But still – definitely have to try this one out! Looks incredible, Sue. 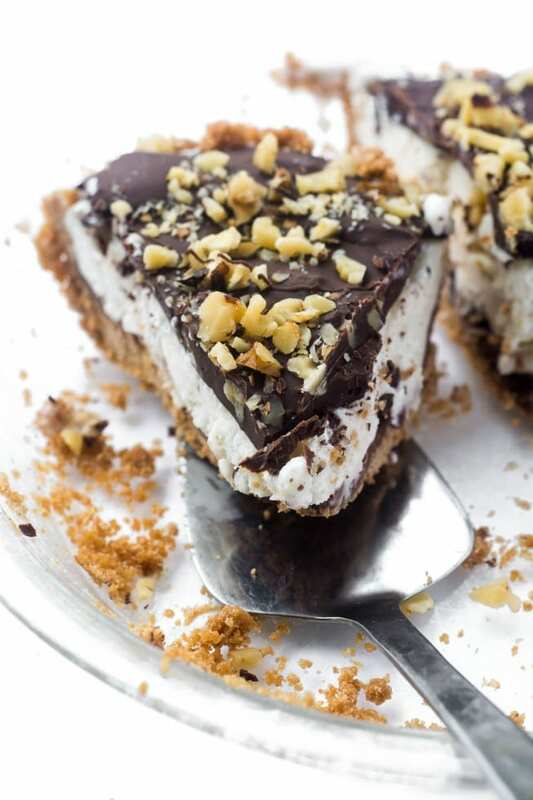 One of my favorite ice cream bars, turned into a pie. Genius! 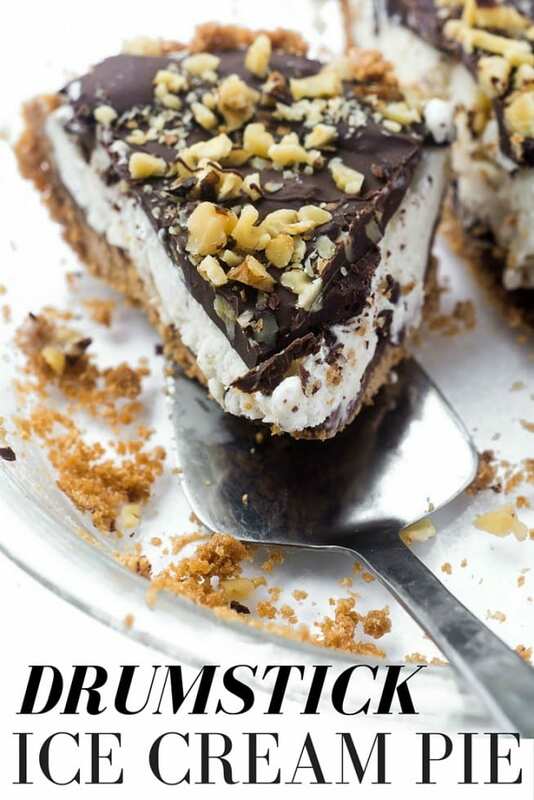 I so need to make this pice cream pie for the weekend. What a fab idea! I love the idea of using ice cream cones to make the crust. This is a great summer dessert, Sue. I can see my daughter wanting this for a birthday cake!!!! I’d love it for a birthday cake! This looks so good! I love drumsticks. Such a brilliant idea for a crust. Thanks, Sue! Oh, my! Drumsticks used to be one of my favorite treats growing up and the little nugget of chocolate at the bottom of the cone was the best. I would eat a huge slice (or two) of this in a heartbeat! Everything about this sounds amazing! Used to love drumsticks when I was a kid. Still do, although I eat them much less often. This pie looks better than actual drumsticks! Really inspired work — thanks. This is so brilliant, Sue! I love it. And I’m so with you, the chocolate at the bottom of the cone is the best part of the drumstick, so the ganache is perfect! I want a huge slice of this! Wowzers, this looks amazing. I am literally picking my jaw up from the floor. I used to eat drumsticks as a child. What awesome memories this brings back. I can’t wait to try it! My husband is standing over my shoulder asking when am I going to make this? Can I make it now? For heavens sake it’s nearly 11pm! Got to get my hands on cones first! OMG! You win for the best thing I’ve seen all day. I know it’s still morning, but I’m pretty sure I’ll still be craving this pie. I love that you added ganache and used the cones for the crust. Brilliant! Pinning. I hope you reserved the right for me too! I want one big slice, then I’ll be good. This is so fun and looks amazing Sue. What a genius idea to use ice cream cones for the crust, love it! I love it! This recipe will no doubt become an instant summer classic! totally brilliant. I sometimes heat my knife under hot water (then dry) before cutting through a chocolate pie topping. It cuts easily and stays a little prettier for those that prefer. Wipe the knife between cuts and you’re good to go! Absolutely fantastic recipe Sue!